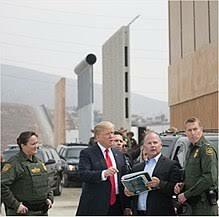 U.S. President Trump views various examples of barrier walls. The American election results of 2018 almost guaranteed, there would be a struggle for power in the United States between Democrats and Republicans. What is dismaying, is that it would occur over the issue of national security. Any objective person can clearly observe, that the border between the United States and Mexico is becoming increasingly dangerous. Illegal activity coming from this porous frontier, has major consequences that have permeated throughout the United States. The endless caravan of drugs, illegal migrants and human trafficking, should alarm any law abiding American. The corruption of law enforcement on the Mexican side of the border is frequently publicized, but there is an upswing occurring on the American side as well. The United States Border Patrol is nearly overwhelmed, with the numbers of migrants attempting illegal crossings, on various points along the boundary line. Although modern technology alerts border officials of the presence of people on the border, it does not prevent their actual crossing. There are between 600 and 700 miles in various places, where the border remains virtually undefended ,with one able to simply walk across the frontier between Mexico and the United States. As more and more human caravans are emanating from Central America, it would seem obvious to most people, that something needs to be done about the unsafe and permeable United States and Mexican border. These larger groups of people which number in the thousands, are not only economic and political refugees, but actually do indeed contain criminals and gang members. In addition, the risk keeps rising that something dramatic may occur on the border itself, or happen elsewhere in the country, which can be traced back to the border. Biological, chemical or nuclear material that was smuggled into the United States, to be used in an attack anywhere in the country, would be a devastating event to the Democrat Party. There would be no way to contain this information from leaking out. The traditional allies and advocates of the Democrat Party in the mainstream media, would find it quite difficult, to pin any blame on the Republicans and President Trump. Americans who have been somewhat lulled into complacency, since the terrorist attacks of 2001 and the strong domestic economy, will want to know who to assign responsibility to, for the ultimate failure in domestic security. The political pundits who argue that the Democrats are winning the public relations battle over wall funding, promoted by President Trump, are being extremely shortsighted. By continuing to insist there is no crisis on the border, the Democrats and their allies in the media, are taking on enormous liability. 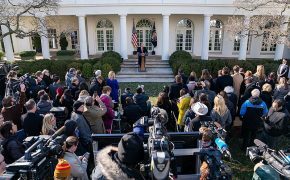 Trump announces a 3-week agreement to end the shutdown from the White House Rose Garden on January 25, 2019. Sooner or later, there will be an incident, that will demonstrate to most Americans, how vulnerable they actually are. Questions will then be raised on what exact policies were in place, that permitted this event to occur? The Democrat leadership is now on record, that they oppose a definitive barrier like a wall. There are indeed, a number of freshman delegates in the House, that recently won their districts as centrist Democrats. They are not all on board, with the present position of their leadership, which has titled decisively towards, the more leftist views expressed in their party. They are fully aware that if a catastrophic event takes place on or near the border, they will be swept from power at the next election. The Democratic leadership will of course, try to spin their message once again. Much of President Trump’s initiatives, are actually policies that most of the present Democratic leadership previously supported in the past. Regardless, of any pretense, Democrats seem determined to deny President Trump any political victory concerning the wall, since he made the issue a major theme of his campaign. Since they are not being held accountable by the mainstream media for these past policy statements, on video no less, Democrat hypocrisy is quite evident, to only those actually better acquainted with the issue. The few challenges made towards the present Democrat leadership on the point, are simply answered by the standard response, that they have evolved their position over time. To then turn around and return to the earlier opinions, once a national disaster unfolds, will be far more awkward. The previous statements will be compared side by side, on social media and most conservative outlets. It will be quite clear to most independent minded individuals, that it was just about politics, after all. There were no moral values or real principles at stake. Nancy Pelosi speaking against Donald Trump’s immigration ban. At that point, Speaker of the House Pelosi will at last be looking squarely at retirement, having led her party over the political cliff. She will be able to hold onto her own seat, but her party will likely never again hold the gavel of power, during her remaining time in the House of Representatives. 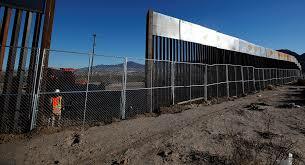 The Democrats were in favor of far stronger border controls including a wall in 2006 and in 2013. Of course their support, was likely predicated on the fact that they knew, there was little chance of the legislation ever passing. Misleading the public is standard practice, for many of these leftist politicians. Few American are aware for example, that under the Obama Administration a total of 80,000 illegals that were prosecuted and put in jail for crimes committed outside of immigration, were later treated as if they were citizens. This was because, once they served their terms instead of deporting them, the Obama directive released them throughout the United States. The bipartisan Gang of Eight proposal made in 2013 included 20,000 new border patrol agents, completing the construction of 700 miles of fencing or walls, $6 billion USD (United States Dollar) in additional border security spending, E-Verify program for employers and finally, a visa tracking system. 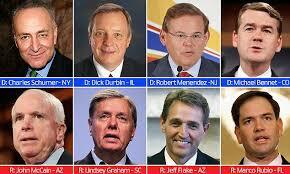 Gang of Eight U.S. Senators on Immigration Reform. Any discussion of the issue of a porous border, often leads to a broader discussion of immigration both illegal and legal. 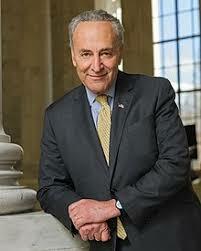 What you hear next as a talking point from Democrats in general, is the need for comprehensive immigration reform. If they are then asked to explain the concept in any length, it always sooner or later zeros in on the principle of widespread amnesty. Republicans for their part, are loathe to negotiate on amnesty because it rewards individuals who have broken American law, with a path to citizenship. Republicans also share the blame in the present broken immigration system. For the last few decades Republicans and many of their business supporters, were able to get a ready supply of cheap and exploitable labor, by keeping a more loosely enforced border. It is not like the country has not been here before. In 1986, President Reagan had sufficient conservative credentials, to negotiate a comprise that was to end the problem, once and for all. 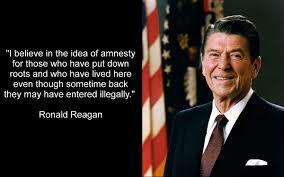 The solution did indeed include, amnesty for near 3 million illegal immigrants. The other parts of the reform act which were about employers being held accountable for hiring illegal immigrants, would prove to be far more difficult to enforce. Without a national E-Verify program, that would provide a check on who could be legally employed, in a relatively short period of time, many migrants continued to work illegally. Another part of the 1986 legislation was to provide for stricter border enforcement. This never really happened. 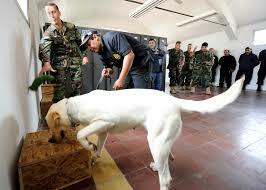 The extra border personnel and technology improvements, were completed on a largely haphazard basis. U.S. illegal alien apprehensions from U.S. Border Patrol as of 2017. The number of unauthorized immigrants in the country swelled from an estimate of 5 million in 1986, to over 11 million by 2013, when the Gang of Eight would once again, try to fix the broken immigration system. The actual number of undocumented individuals in the United States in 2019, is hard to estimate. There are some studies that put it as low as 10 or 11 million and some as much as 30 million. 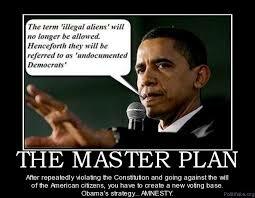 The lower figure would put the illegal presence in the United States at between 3% and 4 % of the total population. The higher estimate puts it well over 9%. At that level, it becomes a far more potent political issue. Once again, politics prevents an accurate analysis. It is to the advantage of Republicans, to over state the numbers of illegals present, while Democrats want to downplay the numbers. The safest way to arrive at the true number, is to probably split the difference. That provides us with 20 million illegals or over 6% of the population. That is a large number, even in a country that has more than 325 million inhabitants. U.S. Republican Texas Senator Ted Cruz. Why would Democrats not want to have stricter enforcement of the border? What is the advantage of the ongoing influx of lower skilled and poor migrants? It is all about politics, pure and simple. Of course, it has become over time politically incorrect, to state the obvious. Since many of these new arrivals will end up on some type of pubic assistance, they are likely to support politicians, who strongly advocate for more federal and state spending on these social programs. The advantage of a lax immigration system, with weak border enforcement, is that it will allow the Democrat Party, to gradually change the electorate. Previous more conservative states, will over time, become more amenable, to the progressive leftist agenda. A perfect example of this in play, is the state of Arizona. 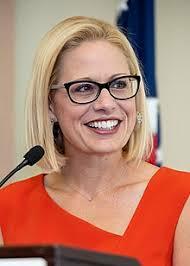 The last time a Democrat Senator was elected to an open seat in this former conservative state, before the victory of Kyrsten Sinema last year, was in 1976. It happens to be the exact year, Sinema was born. The last election a Democrat Senator would win in Arizona, took place 1988. It goes without saying, that former Democrat Senator Dennis Deconcini, who won his election for the third time that year, had political views that today, would be considered decidedly conservative. Conservative states known politically as Red States, will decline in number, making it increasingly difficult for Republicans to either gain or hold a majority in the Senate. Once they permanently loose control of the Senate, judiciary appointments will then only draw from a pool of progressively leftist and activist judges. Within a generation or two, almost the entire federal judiciary, will mirror views of the progressive element of the Democrat Party, which will then permanently change the United States. It is already difficult for Republicans, to actually win the presidency in the United States. The last two presidents running on the Republican ticket, George W. Bush and now Donald Trump, both failed to capture the popular vote, in their first term. It happened in 2000 and again in 2016. 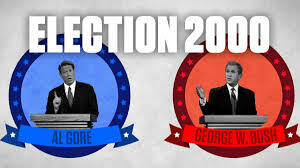 Al Gore (left) won more of the popular vote than elected President George W. Bush (right) in 2000. There are some on the right that will insist, this is due to massive electoral fraud. To their credence there is increasing evidence, that voter fraud is not rare and occasional as Democrats continue to insist. If that were not the case, they would not be so vehement in their refusal to investigate and permit cooperation with federal authorities in the endeavor, to root out corruption. There are pundits on the right who claim with some accuracy, that if an election is close, the Republican candidate will always lose. Enough ballots will continue to be discovered or found that will put the Democrat over the top, even if the Republican was legitimately ahead on election night. 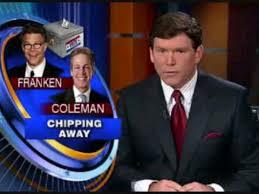 This was the case in the Minnesota Senatorial election, between Republican incumbent Norm Coleman and his Democratic challenger Al Franken, in 2008. The latter secured his seat by just 312 votes. One can argue what difference does just one Senator make in the overall scheme of things? It is important to remember that the freshman Al Franken provided the 60th vote for the controversial Affordable Care Act, known as Obama Care. A government sponsored medical insurance program, that still remains a area of contention, between Democrat and Republican politicians to this day. A more subtle case is what happened in New Hampshire in the 2016 election. There a different kind of fraud was employed, to cost Republican Senator Kelly Ayotte her seat and President Trump the state. The former Democratic governor Maggie Hassan, was able to defeat Ayotte by a mere 1,017 votes. 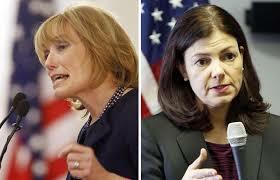 Democratic Senator Maggie Hassan is on the left & former Republican Senator Kelly Ayotte is on the right. A year later it became known, that on the day of the election in New Hampshire, 6,540 people registered to vote from the ultra liberal state of Massachusetts, as evidenced from their out of state license. From these, 5,313 individuals have done nothing more, to actually establish residency in New Hampshire. One wonders if they also voted in Massachusetts and what compelled them to cross a state line to vote? Was the effort organized from the outside, to change the outcome of an election? Again, pundits may say what does one Senate race matter? Well, it is important to remember that the total repeal of Obama Care failed, by just one vote. There also has been a number of times where Vice President Pence was needed, to break a tie in the Senate. A re-elected Kelly Ayotte, would of likely made that unnecessary. These people from Massachusetts had in fact, denied the citizenry of New Hampshire their right to choose their own representation on a national level. Furthermore, this kind of corruption, erodes the confidence of voters in the democratic process. A number of leading Democrats are pushing to abolish ICE. The Attorney General in Texas now claims that 58,000 non citizens have voted in state elections, dating back to 1996. Even if the number is far lower, it should be disconcerting, given that the state has some of the strictest voting laws in the nation. There are numerous other examples, where there were more votes cast for Democratic candidates, than registered voters, in the district or precinct in various liberal strongholds across the nation. When Republicans promote the idea of voter photo identification and other reforms for national elections, Democrats adopt the almost laughable position, that it is a form of voter suppression. One knows their position in unreasonable, due to the fact that in the United States, one cannot conduct most personal or professional business, without various forms of identification, that invariably include photo evidence. Photo identification and similar measures, would guarantee that legitimate votes are not canceled out by ballots cast illegally. Of course, this would make electoral fraud much harder to organize by local supervisors and their staff. One of the most disingenuous concerns for the Democratic leadership spearheaded by Speaker Pelosi in the House and Senate Minority Leader Schumer in the Senate, is the cost of building a wall. Spending $5.7 billion in a federal budget of well over $4 trillion dollars, ends up being largely a rounding era. The deficit for the budget in 2019 will come in somewhere between $800 and $900 billion, so it not like these politicians on either side of the ideological spectrum, have provided wise stewardship of the public purse. Any credibility on the issue by the Democrats was lost, when then Speaker of the House Pelosi urged the passage of Obama Care in 2010, when she herself, had not actually read the legislation. A bill that was going to cost the public trillions of dollars, and she had not found it necessary, to take a look at how federal dollars would be spent. 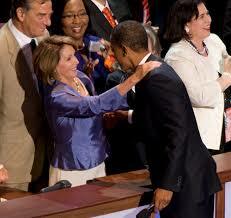 House Speaker Nancy Pelosi with former President Obama. To be fair, most of her colleagues had not read it either, but as the Speaker, it was her responsibility to do so, when undertaking such a huge new entitlement, that was going to totally change the health care system in the United States. Especially when they have failed to secure, not a single Republican vote in the entire process. To further emphasize their insincerity, one can easily point to how various leaders of the Democratic Party are not a bit concerned with costs, when they are promoting Medicare for all, free education and the so called New Green Deal, that will totally wipe out the medical insurance industry and a large part of the nation’s energy sector. The New Green Deal, which proposes the elimination of all fossil fuels use in the United States within a decade, is estimated at a cost totaling $7 trillion over 10 years. Medicare For All, as another example, is a program that is estimated at a cost of $3.2 trillion a year. Considering the total federal revenue source for 2018, was only $3.34 trillion, it makes a mockery of any kind of fiscal responsibility, on the part of the Democrat Party. 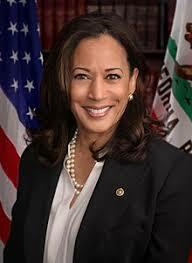 Kamala Harris, Democrat Senator from California, & presidential candidate for 2020. She is promoting Medicare for all. 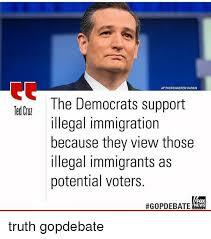 Crimes committed by illegal migrants, is another bone of contention between Democrats and Republicans. Pundits on the left, will constantly point to statistics that show rates of crime that are lower in the immigrant community, than in the native born population. However, these seemingly Democrat supporters, totally miss the point. The reality is, if these undocumented migrants were not here in the first place, none of the crimes they commit, would happen. 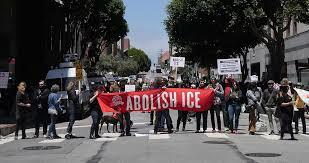 The Democrat political hyperbole that a number of their leaders espouse, concerning the conduct of ICE (Immigration and Customs Enforcement) and with calls for its abolishment, is an indication how little they support any kind of immigration controls. In attempting to garner credence for this intense position, they will compare the ICE agency enforcement tactics, to the criminal activities of the KKK (Ku Klux Klan). Another result of a relatively open border, is the massive inflow of illegal drugs. When you hear Democratic politicians opine on how to deal with this pressing issue, they rarely will impart where most of supply is coming from. It is troubling to know that 300 Americans are dying every week, from heroin overdoses alone, with 90% of the quantity available, coming from the southern border. Overall, there are 100 drug overdoses a day in the United States, with the majority supply of drugs, coming from the U.S./Mexican border. Holes in the U.S. border barriers with Mexico are a major problem in drug enforcement. 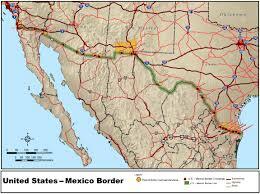 To demonstrate how important enforcement of the southern border is, can be demonstrated almost on a daily basis. During the past week alone, the U.S. Customs and Border Patrol (CBP) announced the largest ever seizure, of the synthetic opioid drug fentanyl. Agents confiscated 254 pounds (114kg) of fentanyl and 395 pounds of methamphetamine from a truck crossing an official border entry point. The drugs were found below a false bottom, of a produce truck. The fentanyl had a market value of only $3.5 million, but is considered so deadly that even a few salt sized grains can kill a person. The U.S. Centers for Disease Control has reported that fentanyl is the drug most involved, in the fatal overdoses throughout the United States. This one drug, accounted for 18,000 deaths in 2016 alone. It is important to note that the amount of fentanyl seized, could easily of killed 26 million people, if is had been widely distributed in food and water supplies. No amount of money at the state and federal level is sufficient for Democrats, if you listen to them, in providing treatment for the victims, resulting from the ready availability of drugs. However, one cannot attempt to close off the source, since that would not serve, the political interests of the party. Human trafficking has reached levels that are truly scandalous. On an annual basis it is estimated that 10,000 children and 20,000 young adults, are smuggled into the United States, to be subjected to years of sexual abuse. A border barrier or wall, would make the smuggling of such individuals, far more difficult. It is not as easy to hide people in vehicles of transport, as it is to simply walk across an undefended frontier. The leadership within the Democratic Party continue to insist that border walls don’t work. The statistics demonstrate a different reality. In most cases where there is a wall or major barrier on the border, apprehension of illegals are reduced by well over 80%. 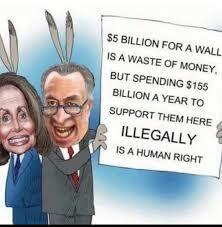 Another factor the Democrat Party remains disingenuous about, is the huge cost to the American taxpayer, as a result of illegal immigration. Spending on immigration enforcement and processing alone, has surged 40% in the last 4 fiscal years, to a tune of $7.4 billion in 2018 alone. A number of studies place the total cost of illegal immigration, at well over $100 billion a year. As the dangers associated with the southern border of the United States, become more evident to an increasing share of the electorate, the Democratic Party will find that its present position on security is untenable. That an opposition party would place the American people, including their own constituency, at such risks in order to secure political points and deny the President another political victory, is quite telling. The quest for power by these Democratic Congressional leaders, obviously supersedes any other consideration. No doubt, President Trump is likely to declare a national emergency, and save the Democratic Party from its own dangerous and foolish policy, on the issue of border enforcement. As Commander in Chief, he is responsible for the safety and security, of all American citizens. He will then be free to secure the southern border, on his own terms. The Democrats in response will attempt to stop him through the judicial system, but these efforts will ultimately fail. Unfortunately for the Democrats in Congress, legislation passed in 1976 and in 1982, clearly give the President, the authority to determine and resolve such a national emergency.